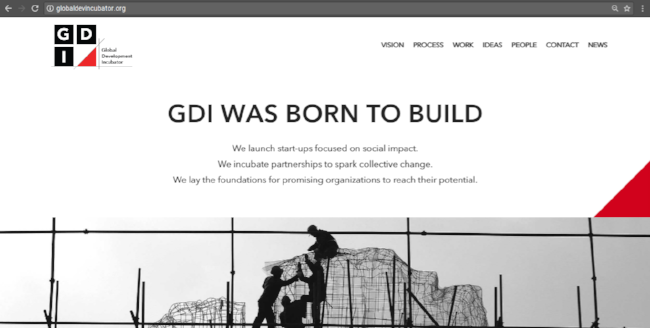 To bring GDI's massive selection of programming to life through an engaging but concise website, my team thought strategically about how to best represent this umbrella organization's work in numerous sectors and across multiple continents. Working closely with GDI's in-house communications team, I developed active, succinct, and compelling copy based on the brand's strong, independent, and innovative voice. This was presented using a reactive UX design built to allow users to direct their own navigation through the use of an interactive infographic opening up into focus area trees which linked to 'minisites' for each program. To see for yourself, click here.